A rider for over 40 years, Don Gomo has experience the sport of motorcycling in many different levels. From dirt rider to street, sport to touring and from riding unskillfully, possibly hazardous, to becoming a Motorcycle Safety Foundation(MSF) RiderCoach in 2004 and an advocate for safe skilled riding. 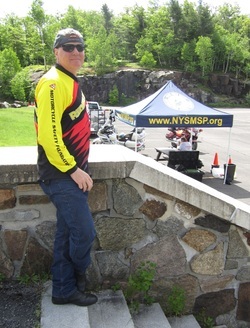 He has been coaching with the New York State Motorcycle Safety Program since then. Don made the choice to start riding more skillfully and safer after realizing the risks of riding untrained, plus seeing those risks having negative outcomes to friends and other riders he knew certainly did help him with his decision in becoming a MSF RiderCoach. Don volunteers his time to promote motorcycle awareness and the importance of rider education. 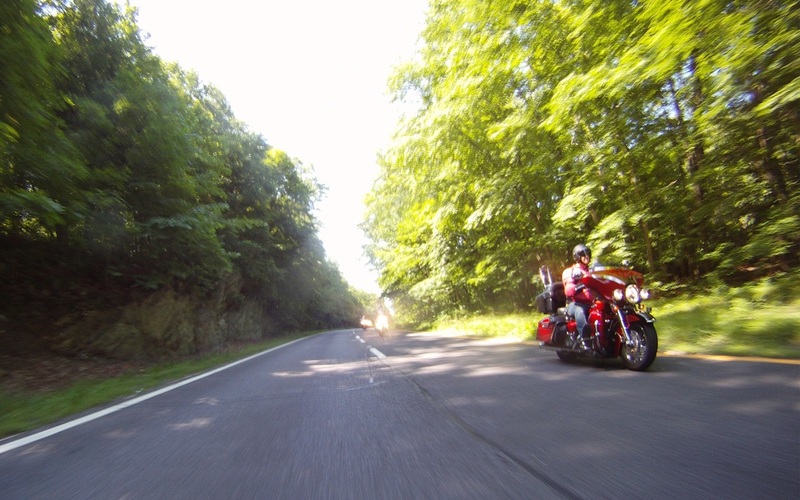 He speaks through out the Hudson Valley, New York City and Long Island regions to driver education programs, area motorcycle clubs and is a seminar speaker at regional motorcycle rallies. Don is often recruited by the media for information regarding skills and safety of our sport. He has received recognition relating to the promotion and education of motorcycle safety and skills including the MSF 2006 Outstanding Motorcycle Safety Award and regional safety awards. Along with the safety side of riding, he is a member of several motorcycle rights organizations such as the American Motorcyclist Association (AMA) and is presently a MSF RiderCoach for Tramas Motorcycle School on Long Island which is part of the New York State Motorcycle Safety Progam. Don became a member of the Harley Owners Group (H.O.G.) in 1986 and has been a member of Woodstock, NY H.O.G. Chapter since 1999. Over the years of his membership he has held several Officer Positions: Activities Officer (2000-2001), Assistant Director (2001-2002), Head Road Captain (2002), Director (2003,2009-2010), Safety Officer (2004) & Road Captain (2008). He was also a BRAG (Buell Riders Adventure Group) Director for the Hudson Valley Riders Club. Don is presently active with the Long Island based AMA Chartered club the Nassau Wings as their President for 2014 and recently a member of the Nassau County and Long Island H.O.G. Chapter as well as joined Long Island ABATE. Fred Rau Motorcycling. Don also writes for several other national and local motorcycling publications. He is presently working on some new programs for 2014 to help promote the benefits of motorcycle safety and skills. Now it's not always just writing, teaching and promoting rider education for him, in 2003 he was crowned the King of Americade; The Worlds Largest Touring Rally. An event that is rooted in riding, touring, plus the joy and fun of motorcycling. He not only has a passion for riding but enjoys sharing his experiences with all, even those who do not understand why we ride. His choice of motorcycles includes owning a Harley-Davidson 2007 Screaming Eagle Ultra Glide and a 1999 Buell Thunderbolt S3T. In his daily life Don is a project manager for a mechanical contractor and a union steamfitter by trade for 25 years. Before that he would earn his living as a chef and he is also a part time juggler. Don is presently working on developing a NYS Not for Profit (501c3) member supported organization to help promote the benefits of rider education and motorcycle awareness. Check back early 2015 for further information.